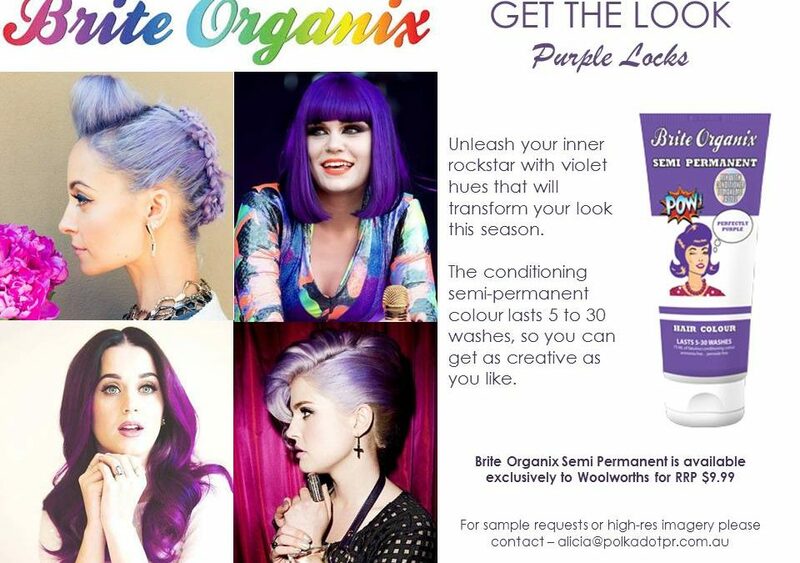 Surry Hills, New South Wales (September 9, 2014) – Leading beauty PR agency Polkadot PR is proud to be the chosen partner of Brite Organix, a flourishing new company that creates vegan hair colouring products. Using its press relations expertise, the agency seeks to build greater brand awareness in consumer media for this client and to drive more shoppers to try these all-natural hair colours. Brite Organix is a trendsetter in the hair colouring industry, and was offering bold and striking shades long before candy-coloured hair became a trend. Unlike other manufacturers, though, its products provide long-lasting and vivid colours without using peroxide and ammonia, which can permanently damage hair. The company currently has three product lines that Polkadot PR is pushing to the market. The first is One Day Colour, a conditioning and colouring mousse that can be applied directly to dry hair to colour it pink, blue, or purple. Specifically formulated for those with light-coloured hair, it is the only product that allows users to sport a different hair colour each day as the dye simply washes out after shampooing. The second product, Semi-Permanent Hair Colour, offers longer-lasting colouring that can withstand 5 to 30 washes. Also available in the abovementioned hues, people can mix any of the three colours with the white conditioner to create the perfect pastel tones. Last is the Hair Shadow, which Brite Organix touts as ‘creative makeup for your hair’. Available in pink, green, blue, and purple, this product lets users streak, blend or dip-dye their hair to create a festive look. The colours will not stain clothing, and they can be easily removed by washing one’s hair. The three products are exclusively available at Woolworths, with the One Day Colour and Semi-Permanent Hair Colour retailing at $9.99, and the Hair Shadow for $7. Polkadot PR has helped countless beauty products become household names, and the firm is confident that Brite Organic’s innovative and Earth-friendly hair colours will make it a hit with consumers. 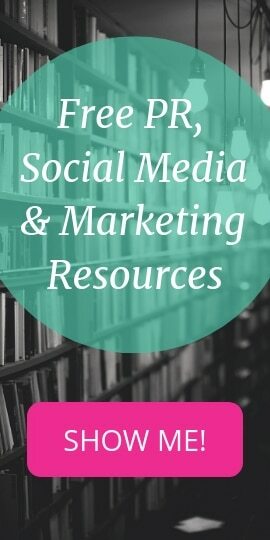 For more information on the agency’s services, visit www.PolkadotPR.com.au. The firm has worked with over 500 brands, making it one of the most trusted Sydney PR agencies. The company was founded almost 10 years ago by former journalist Dionne Taylor, and is staffed by an international team of press relations experts.